I wonder what it is like to be an Artist without peer? A Creator so prolific that no audience can view the corpus of One’s work, much less appreciate its beauty? A Singer so masterful that One’s voice enkindles life? A Writer so brilliant that children can understand One’s story, though its telling yields new depth, new allusion, new revelation forever? A Sculptor who can weave matter and spirit, sight and sound truth and grace, word and deed into one glorious cosmic dance? I have been thinking about the stars lately. When I was younger I pondered them often. Science was my favorite subject, and astronomy a special love. Studying the cosmos had a curious effect on my soul. The vastness of the universe made my head spin. My emotions would swing between ecstatic joy and dreadful doubt – wonder at the infinitude of our Creator, followed by disbelief that beings so tiny and fleeting as men could matter at all, squelched by certainty that the Story was all true. The Son of God chose to become a man and in so doing, swept us into a drama far more significant than we dare imagine. The LORD begins our story with stars. I am not referring to the creation story, though that also begins with light and dark, but to the story of salvation. The story of men becoming friends of God. YHWH looked upon the earth and found a single man whose heart He trusted. A man He enjoyed. A man He talked with. A man He choose as a narrow gate through which His work of salvation will pass. YHWH took Abram outside and begged him to look at the stars. “Now look toward the heavens, and count the stars, if you are able to count them. So shall your descendants be,” He promised. I cannot imagine how beautiful that night must have been. The sky was unpolluted with light or smog. The stars shone in their myriad colors, their unique clusters, their variable brightness – unfathomable in number, beyond beauty in description. The God of All stood with Abram, rejoicing in the works of His hands, rejoicing in the His secret plan of salvation, and in that moment, under the stars, He conferred on His friend the gift closest to His own heart – the gift of fatherhood. Abram would become the father of an only son, a son whom he loved, just as God Himself was the Father of an Only Begotten Son. And in an astounding gift of humility, of love beyond all Abram could comprehend, God numbered His Own Son among the stars of Abraham’s line. Only recently have I noticed how often Jesus is called a star in scripture. The first prophet to speak of Messiah in those terms was a foreigner, Balaam, who lived among the Midianites. Though hired by the kings of Midian and Moab to curse Israel, the LORD would not allow it. Instead, through the Holy Spirit, Balaam spoke these words. And tear down all the sons of Sheth. 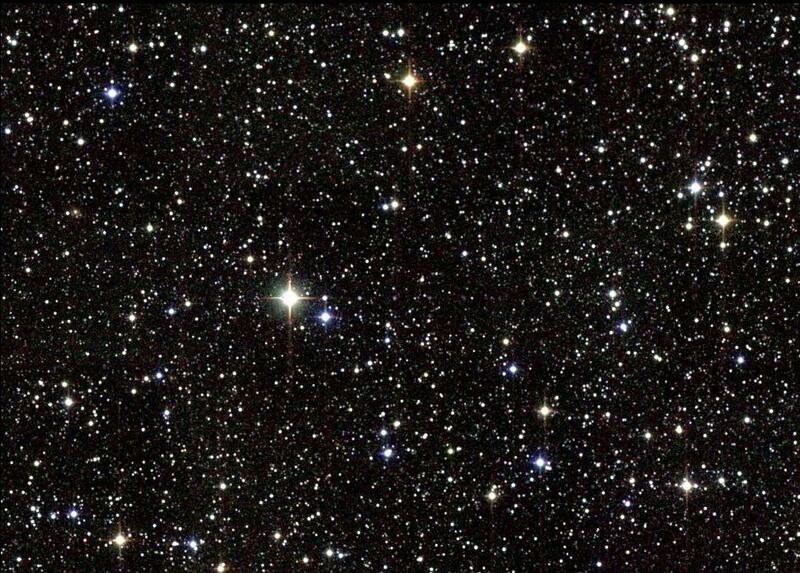 This image of Christ as a star was dear to first century believers. Peter used this language when he wrote of our Savior’s glory. For we did not follow cleverly devised tales when we made known to you the power and coming of our Lord Jesus Christ, but we were eyewitnesses of His majesty. For when He received honor and glory from God the Father, such an utterance as this was made to Him by the Majestic Glory, “This is My beloved Son with whom I am well-pleased”— and we ourselves heard this utterance made from heaven when we were with Him on the holy mountain. So we have the prophetic word made more sure, to which you do well to pay attention as to a lamp shining in a dark place, until the day dawns and the morning star arises in your hearts. Stars are also prominent in John’s Revelation. The apostle sees Jesus as one who holds the stars of seven churches in His hand. But the words in this book which move me most are the words from Jesus’ own mouth. Jesus, how beautifully humble you are! You, through Whom all things were created, become the son of one You created! You who were with the Father “when the morning stars sang together and all the sons of God shouted for joy” identify Yourself as the first of Abraham’s line, the Morning Star who leads all the sons of promise into the glory of the Your Father’s presence. In these closing scriptures of Revelation, Jesus, You remind us of the the beginning, of the Father’s promise to Abraham that he would be the father of a multitude of nations. John’s vision is a witness to the fearsome jealousy, the surpassing greatness, and the joyous faithfulness of the Father to His Word. There is a multitude which stands before the throne of God from “every tribe and nation and tongue.” Though they are too numerous to count, each is a child of Abraham, born through faith. Each is dressed in white, like a star, having washed his or her robe in the blood of Jesus, Abraham’s son. Each is caught up in a story vast beyond comprehension. Each one is called by a name known only to the Father. Truly, LORD, there is no friend, no artist, no one like You!